Trade show displays tend to be big, crowded and intense events. For you to have a successful day or showing, your booth needs to stand out from the competition and invite guests to learn more. In order to do so, you’ll need to invest in some creative and eye-catching graphics — that’s where SpeedPro comes in. 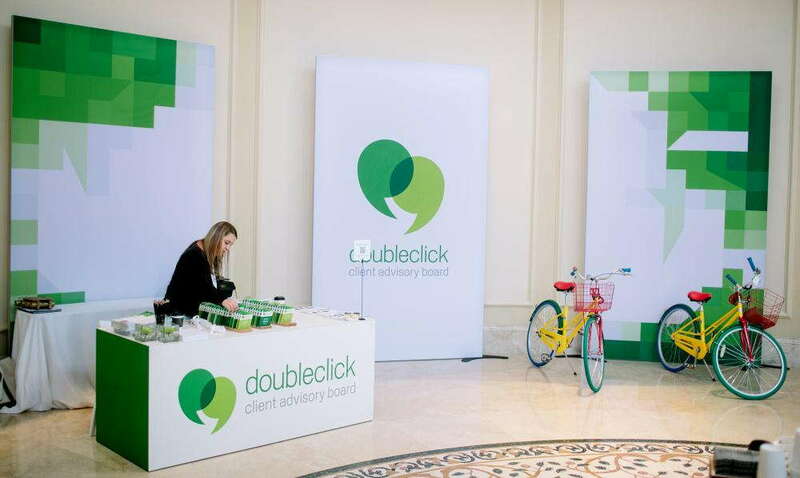 We create show-stopping trade show display booths and backdrops, customized to maximize and sell your brand at any event on your agenda. If you live in or around Atlanta, come to our studio to see what we can do for you! At SpeedPro Imaging of Greater Atlanta, our goal is to create customizable trade show displays that put your brand front and center for everyone to see. Whether you need a professional event or a pop up trade show display at a high school or university, we’ll work with you to create the perfect solution. With our displays and graphics, we aim to match four important categories — portability, versatility, durability and ease of assembly. As you will see, all aspects of our customized trade show display items will contribute to a reusable and long-term application. One of the key elements to building successful trade show displays is to make sure they’re portable. No one wants to have two or three show displays within a month — or a week! — and not be able to reuse the same graphics and props. Our event tents are easily collapsible and can be carried around in a convenient bag. Retractable banners work the same way, as they can retract into an easy-to-carry bar rather than a flapping banner. Along with portability comes ease of assembly. Event tents do not require tools and can be locked into place. Banners can be hung from grommets or displayed along poles. Our backlit graphics can be placed easily onto walls without an excess of tools being needed. The versatility of some products is a specialty we favor at SpeedPro. Table toppers can be used to elaborately cover and attract the eye to your table while also being hung behind your area as a temporary trade show backdrop. Retractable banners can be used indoors and outdoors to greet customers and share information. Fabric signs may be used to direct guests to your station or remain at your table to feature products and services your business offers. Finally, SpeedPro Imaging of Greater Atlanta considers the durability of every product we customize and offer. The materials we use are made to last through weather conditions and harsh environments. Our printing technology allows us to produce fade-resistant inks. Additionally, our vinyl graphics can last for up to seven years, ensuring a long-lasting time of use to meet your business needs. 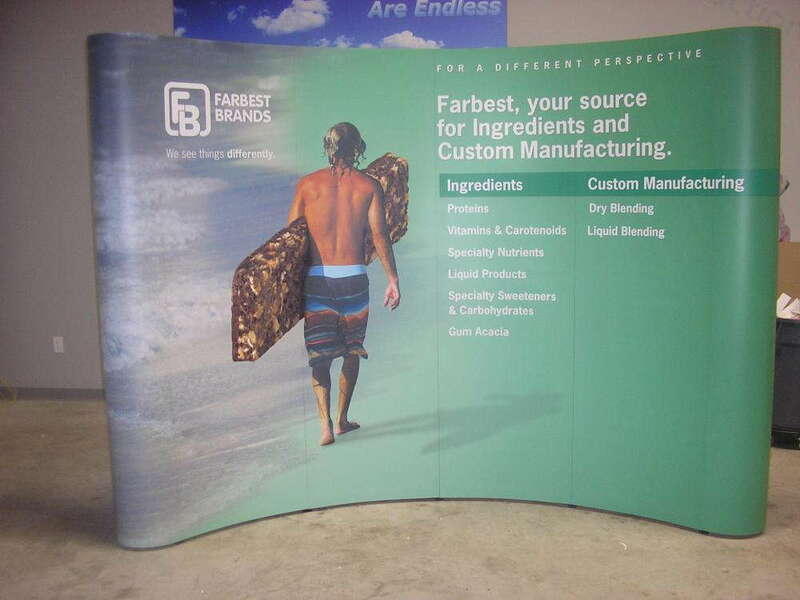 For your next trade show display, schedule a one-on-one consultation at our studio. We’re excited to partner with businesses in the counties of Fulton, DeKalb, Gwinnett and Cobb, and our aim is to create a reliable partnership. 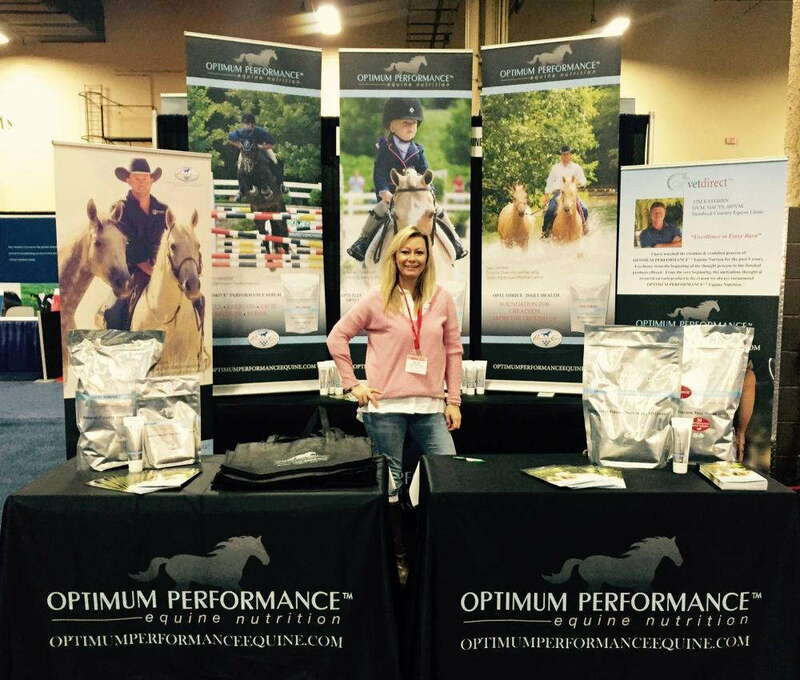 Let us create the visual solutions you need to bring your brand to life at your next booth!